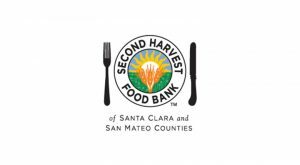 Second Harvest Food Bank (Second Harvest) provides food for people in need in Santa Clara and San Mateo counties. In addition to providing food assistance that is dignified, healthy, and accessible, Second Harvest also engages in advocacy efforts to improve food assistance and nutrition programs. This grant is for general support. Second Harvest is the largest nonprofit provider of food in the region, collaborating with more than 300 nonprofits in the Bay Area. It specifically targets high-need areas such as Daly City, South San Francisco, the San Mateo County coastline, Redwood City, East Palo Alto, Downtown and East San Jose, and Gilroy. In addition, Second Harvest also aims to increase access to CalFresh— California’s food stamp program— and provides services to families living at or below 200 percent of the federal poverty level.